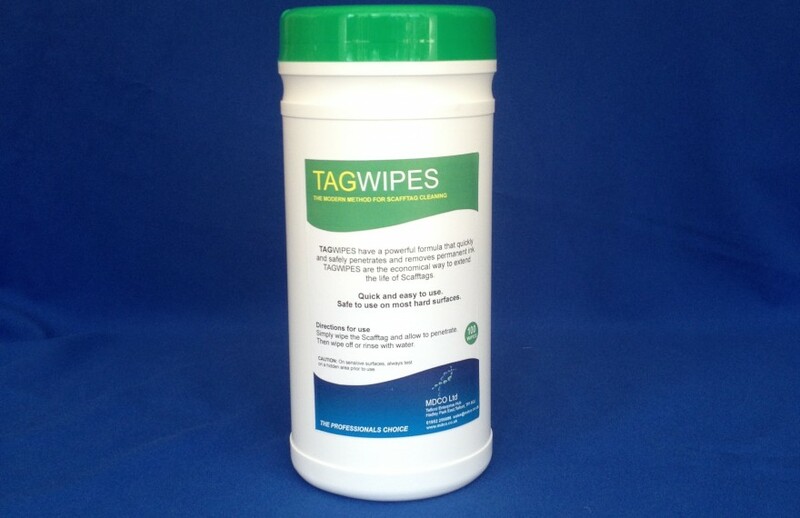 TAGWIPES quickly and safely penetrates and removes permanent ink and dye stuffs from Scafftags and other hard surfaces. Cleans Scafftags allowing them to be reused time and again rather than discarded after use. Only a small amount of TAGWIPES solution is needed to treat each tag therefore, allowing numerous tags to be cleaned with just one wipe. Unlike graffiti removal products, the unique formulation of TAGWIPES is safe on all hard surfaces. Simply wipe the Scafftag, allow to penetrate, then wipe off or, rinse with water.